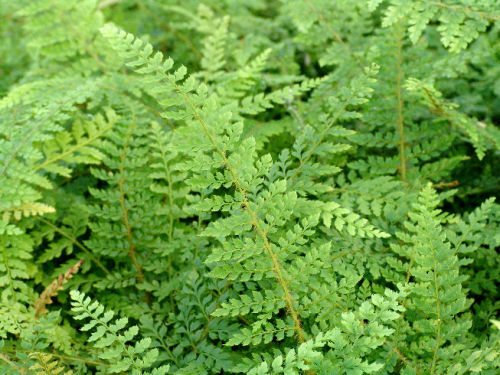 A very graceful variety of evergreen fern with finely cut elegant fronds. Very tough and adaptable, this is one of the most popular landscaping ferns, can be used a s a specimen or as group planting. Very easy to grow in any good soil in full or partial shade. Even tolerates full sun in moist soil.